My in-laws house on Fowl River is one of my favorite places to spend weekends during the Spring/Summer. Swimming, boating, reading my favorite books on the dock sipping a cold cocktail. I am looking forward to every single one of those things. I bought this dress last Spring for one of our first engagement parties and it has been one of my favorites ever since. 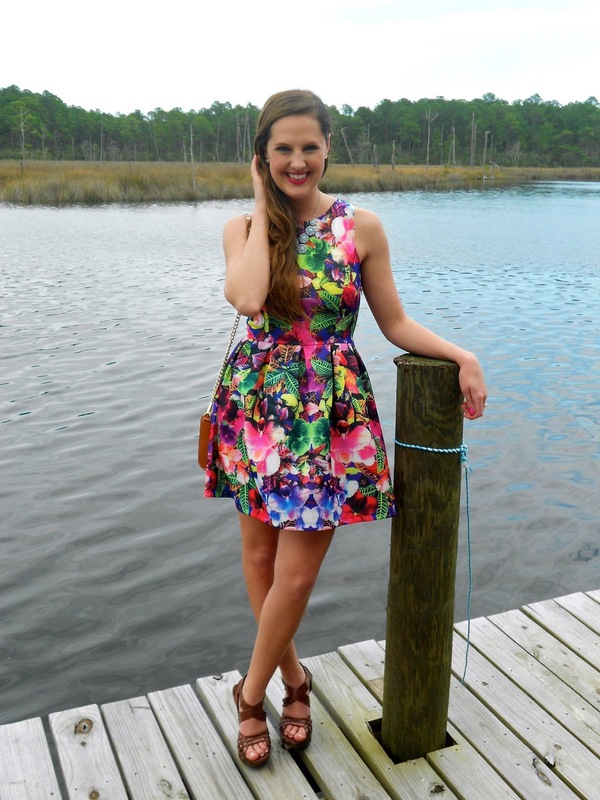 The perfect bright party dress to get the season started. Bag - Rebecca Minkoff Mini M.A.C. Hello from another blogger in Alabama! :) Love this dress! I have wanted to try Revlon's new scented nail polishes. This one is a very pretty shade of pink!